The holiday season is fast approaching so now is a good time to talk with family, friends and neighbors about keeping each other safe during this busy and exciting time. We want to help you start the holiday safety conversation by offering tips you should consider while shopping, traveling, or at home. If you have not already done so, this is also a good time to get to know your neighbors. This includes the people who live next door, across the street and over the back fence. You can also increase your home security by starting a Neighborhood Watch program. Lock your vehicle and hide valuables, preferably in the trunk or locked compartment. Before sunrise and after sunset, park and walk in well lit areas and carry keys in your hand. Look inside and under your car before entering your vehicle. Stay alert to your surroundings and take a moment to glance around for possible suspicious persons, vehicles, and/or situations. When in crowded places, be alert for potential thieves. Don't overload yourself with packages. Maintain visibility and mobility to avoid potential threats. Be wary of strangers approaching you for any reason. The holiday season is notorious for "con-artists" who may attempt to distract you with the intention of taking your money or belongings. When possible, avoid carrying large amounts of cash and valuables, and avoid wearing expensive jewelry. Avoid shopping alone; there is added safety when shopping with a companion. Keep a record of all your credit card numbers in a secure place at home. When shopping with children, keep a close eye on them at all times. Consider coaching them to go to a store clerk or security guard if they become separated and be sure they know their first and last name so they can advise someone who they are. Give children a contact phone number that they can carry on their person in case they do become lost. Inform someone who's trustworthy where you will be and when you might be expected back to your residence. Ask a neighbor or other dependable person to watch your house and retrieve your newspapers and mail if possible. Prior to getting into your vehicle take a look inside and around before entering. If you observe evidence of a possible burglary, call your local law enforcement agency. 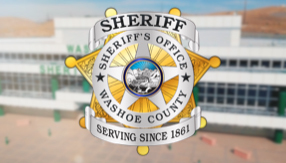 For the Sheriff's Office, call 785-WCSO (9276). Anticipate inclement weather and plan accordingly - carry chains, keep sufficient gas in the tank, and use extreme caution while driving. Be aware of your surroundings when you use an ATM. Have your card ready when you arrive. When you are done, put the card and cash away immediately. Don't count the money until you are in a safe place. If using a drive-thru ATM, keep your car running, your doors locked and all other windows up. Be extra cautious about locking windows, sliders, and doors when leaving for any length of time. We suggest keeping all entrance points into your house secured while you're at home as well. Set indoor and outdoor lights on timers and think about doing the same with a television or radio to make it appear as if someone is home. Never keep gifts or valuable objects in plain view from any window. Close blinds, shutters, drapes, and curtains because if a burglar can see those items they may attempt to take them from you. If a person knocks at your door and you don't recognize them, don't feel obligated to open your door. Teach your children that by no means will they open the door to anyone prior to your knowledge and authorization. Keep your Personal Identification Number (PIN) secret. Never write it down and hide in your wallet. Keep a record of all your credit card numbers and company contact information at home in a secure place in case they are stolen, lost or the cards need to be cancelled due to fraudulent activity. Note: for Information on Internet safety during the holidays go to our Staying Safe article "Cyber Monday Shopping SafetyTips from the Sheriff's Office Cyber Crimes Unit."